Now, it’s time to continue our trip back home. As me and my hubby are not a big fan of long drive, we decided to spend a night at Kelowna. 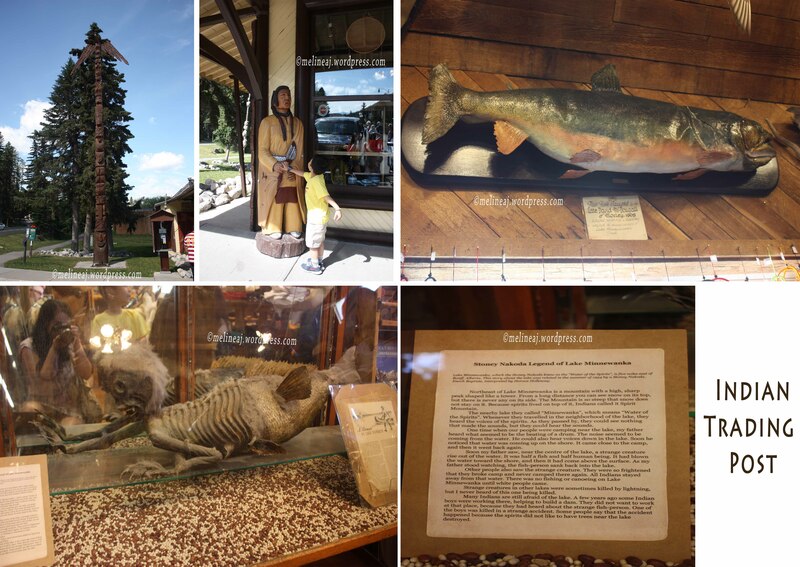 We drove from Banff to Kelowna via Trans-Canada Highway and highway 97A. 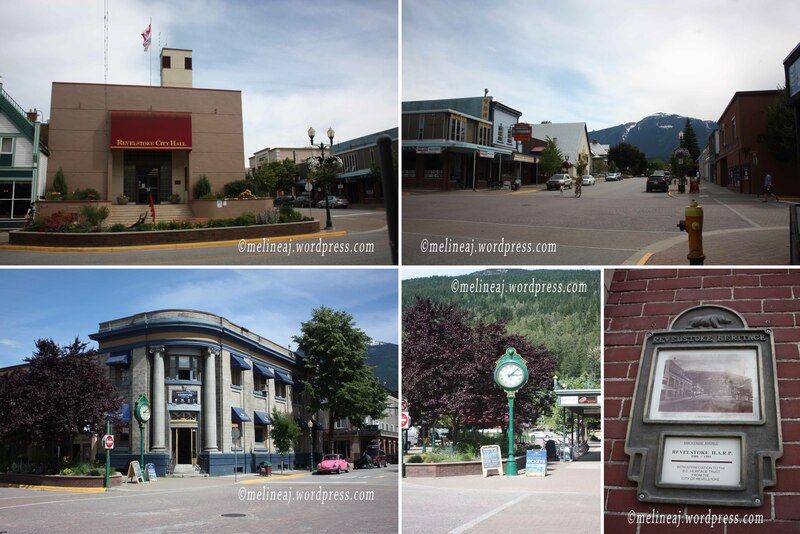 About halfway driving, we stopped at Revelstoke to have a lunch. This little quaint town was pretty quiet. Originally, we were going to have sushi at Kawakubo since it has a good rating from Trip Advisor but unfortunately, it was closed. We walked a bit and finally decided to dine at Hong Kong restaurant since we were starving. The food was okay, not an authentic Chinese food but good enough to fill our stomach. Vacation made me lost count of the date and day. I set my weekday alarm for morning call but I forgot that the following day was Saturday! No wonder that we woke up pretty late the next day hahah… Luckily, we didn’t have to rush since we were planning to explore Kelowna a bit. It is my 3rd time visiting Kelowna. The first one was in 2009 with my family and my second one was in 2011 with my co-worker to attend company’s function. I must say, Kelowna has developed a lot in 5 years! There are lots of tall apartment building around and the downtown is now a vibrant area with lots of shops, cafe, and restaurants. The marina on Okanagan Lake got a serious upgrade with beautiful wooden docks and seating area. I was very impressed! For every visit to Kelowna, taking a picture in front of Spirit of Sail and Ogopogo statue near Kerry Park is a must. Ogopogo is a legendary monster and believed to live in Okanagan Lake – it’s similar to Loch Ness Monster in Scotland. Under a scorching hot day, we had a fried chicken poutine at Sliderz Community House and after that, we had 2 scoops of delicious ice cream at Moo-Lix Ice Cream Shop next door. 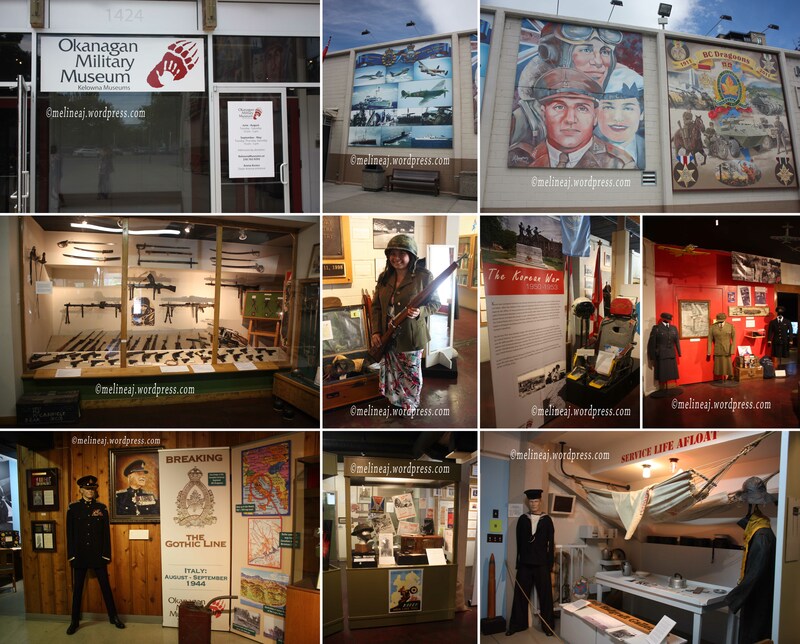 As we drove to Calona Vineyard to spend my gift card from work, we passed Okanagan Military Museum. We stopped to take a peak. This little museum is located at a small corner of an ice rink. When we were there, there was a hockey game and we could hear the goal siren. The museum admission is by donation and there was a nice veteran lady who patiently helped us wearing the war props for pictures. The small museum tells the story of Canadian involvement during World War I, World War II, Korean War, and other wars. If you have spare time, it is a good museum to visit.